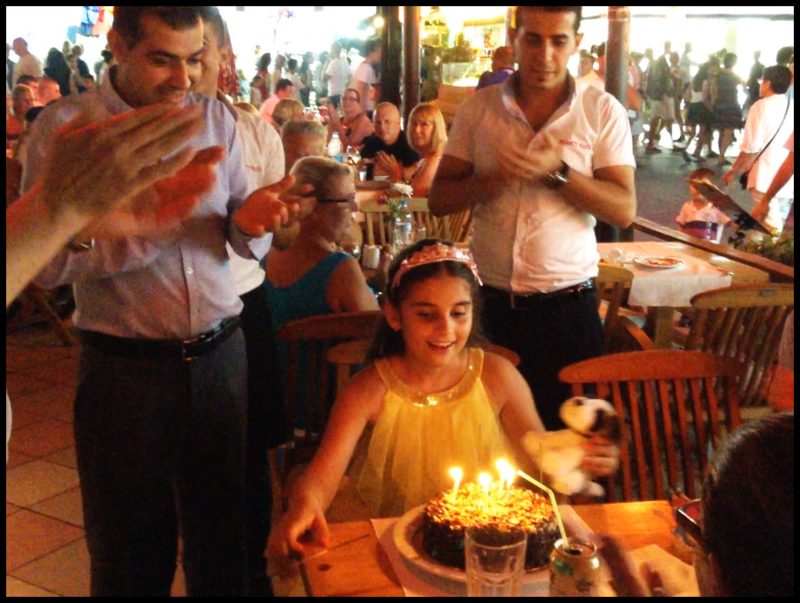 Here at Planet Yucca Restaurant in Kusadasi, we love helping you celebrate your special occasion. Celebrating a Birthday is one of those occasions that many people who were born in the summer months are able to enjoy whilst on holiday and many of our guests choose to celebrate at Planet Yucca! If you have a special occasion that you’d like to celebrate at Planet Yucca, feel free to contact us ! Copy/paste the link below to see Naoise’s Birthday celebration at Planet Yucca.